There’s much more to home staging than simply arranging the furniture, which is why it’s worth it to hire a professional. In addition to devising the layout that maximizes the charm of your home interiors, a skilled stager will set the lighting and temperature to make potential buyers more comfortable. They also take a look at smaller details, such as shelf items, and carefully curate the home to draw a buyer’s eye towards its most attractive features. Many buyers start making decisions about whether to buy—and how much to offer—before they even pass the threshold of the front door. “Curb appeal” describes the impression that your home makes when a buyer sees it from the street. Add some colorful flowers near the entrance, touch up any faded paint, and keep your lawn looking well-maintained. Shifting your house into selling mode means making it look and feel less like the home you’ve lived in, and more like a home that somebody could make their own. If you’re considering repainting rooms, aim for neutral tones. De-clutter the home—put extraneous items into storage, so that buyers can see how much room they would have to work with if they purchased. If you have pets, be diligent about hair and odor, and be ready to have them boarded elsewhere during open houses and showings. Anything you can do that provides a buyer with room for their own vision will lead to more quality offers. 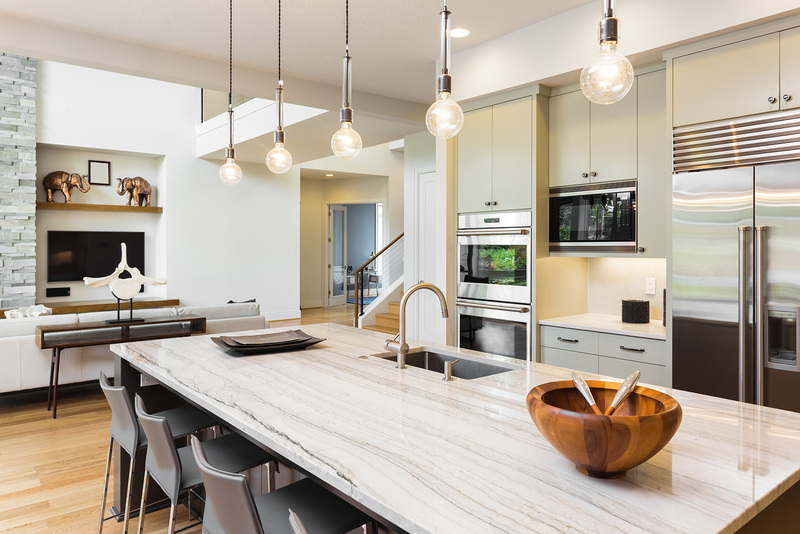 As one of the spaces where people spend the most time, a breathtaking kitchen can often do more to sway a buyer’s mind than any other room in the house. The aesthetics and features may serve to influence perceptions of the property as a whole, so it’s in your interests as a seller to make this one of the centerpieces of your home. If your appliances are a little out of date, consider investing in one high-end, stainless steel appliance. This upgrade can serve to make the rest of the appliances seem higher quality as well. Maintenance issues within your property can lead to lower initial offers or concessions at the negotiation table. Take time before your home is listed to check off items that you may have been meaning to handle. Little adjustments take less effort and money, and they tend to yield greater returns than larger renovations undertaken right before putting the home on the market. Selling your home is as complex a decision as it was to buy it in the first place. Your Dream Town realtor is always on hand to help you navigate the many moving parts of the transaction, and to be your strong advocate when it comes time to negotiate the deal.